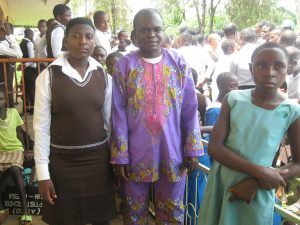 Finance Secretary and Child Sponsorship Coordinator: Silvia Nabain, Genesis T.
IT Program: Emile Bem Groh, Genesis Tasah, Christabel N.
Goodness and Mercy Missions (GMM) was founded in late 2007 by Teh Francis Yai as a non-profit organization aimed at impacting communities in Cameroon. GMM was formed because there was a great demand of the community’s needs. We discovered that rural communities in Cameroon continue to suffer not so much because of the economic situation of the country but because of the lack of initiatives for individuals to help themselves and come out of their predicament. Also we learnt that there are some disadvantaged in the communities who are physically incapacitated and therefore cannot do anything to help themselves. Also under this category are needy children, orphans and street children. We decided to identify them and help them as much as possible. Another reason GMM was formed was to sensitize, create awareness, and educate the community on vital issues plaguing the wellbeing of the society. GMM is a membership organization. The members are the staff and the board that sit periodically to see how things fare in the organization. The various community groups GMM works with are also members of Goodness and Mercy Missions. Goodness and Mercy Missions was formed in response to community demands and not because of any availability of International funding. This latter has come to boost the activities of GMM. We thought we could help the community with ideas that can be used by for their own good. 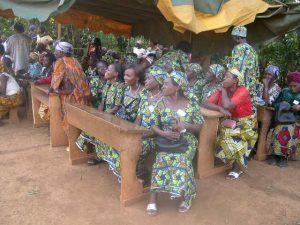 The Goodness and Mercy Missions Activities are chiefly carried out in the North West and South West Regions of Cameroon, the Anglophone areas. GMM became finalist and winner at The World Bank Cameroon Development Market Place in 2011 and ranked one of the best after the final implementation in 2013 s the 15 organizations showcased their successes at the Hilton Hotel in Yaounde. Initially there were 260 organizations for the contest. The World Bank has rewarded Goodness and Mercy Missions with a Certificate of Recognition and a recommendation letter. In 2011, the GMM Online Volunteer, Akanksha Shukla, from India was one of the winners of the United Nations Online Volunteering Awards. GMM was fourth among the 10 winners. In 2014, GMM has been selected to be Country Partner for the Global Youth Service Day celebrations in Cameroon taking place from 11-13 April 2014.